Safety is one of the main focuses of the JIFs. Our goal is to prevent accidents and create safer and healthier school environment for the students, employees and community. Most employers are aware that they must comply with the standards promulgated by the Secretary of Labor under the Occupational Safety and Health Act. Although OSHA (PEOSHA) does not certify or approve training programs, OSHA personnel conducting compliance visits to work place establishments will look for evidence that an employer has provided the training required for his or her employees. Our member districts are able to show that training gives priority to the types of conditions and practices most likely to result in injury and illness. Training for your district and employees can either take place On-Site or Online. Training classes are available at no cost to member districts as part of your membership in the JIF. Training is scheduled at a time and location that is convenient to you. Currently, the Loss Control/Safety Services offers over 65 safety training programs to its member districts. Use your member login to see additional Safety Resources available to SPELL JIF Members. 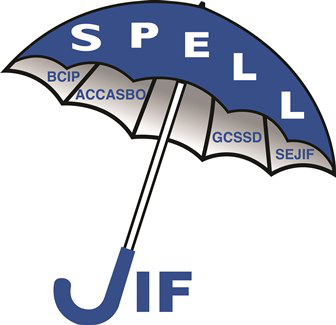 The JIFs have partnered with PublicSchoolWORKS, a web-based training organization that specializes in training specifically for public school districts. By teaming with PublicSchoolWORKS, the JIFs are able to offer over 500 internet-based training classes in the areas of workplace safety, student health & safety, human resources, employment law, transportation safety and food handling safety. PublicSchoolWORKS also offers the member districts the flexibility to provide general orientation and periodic training on select subjects, all at a time and location convenient to the district and the employee. The availability of this training to our member districts provides another layer of safety and risk management offerings, at no cost. These online training courses increase our ability to reach groups of employees that are routinely more difficult to access via on-site training classes. The PublicSchoolWORKS system allows individual employee training requirements to be established with set completion parameters, along with the ability of supervisors and administrators to track progress.